In Pennsylvania, the heroin crisis is in clear view. The state is among those most devastated by the resurgence of heroin and opioid painkillers. While much of the related devastation is hidden behind closed doors, it is also in plain sight. As The New York Times recounted on Sunday, a Philadelphia man was filmed shooting heroin during rush hour on bus. Last month, Upper Darby police posted a video on Facebook showing a man shooting heroin on a bus before being given the overdose antidote naloxone. Also last month, a Johnstown man overdosed at the public library, where he was reportedly unconscious and in cardiac arrest in the bathroom. The Times lists similar incidents in Ohio and New England. Nationally, 125 people a day die from overdosing on heroin and painkillers, and many more are revived, brought back from the brink of death — often in full public view. An analysis of overdose deaths by the Times shows a steady rise in drug overdoses from 2003 through 2014. Among the most hard-hit areas is the Appalachian region, including Western Pennsylvania. In part, the rise in painkiller and heroin use has been attributed to workplace injuries and resulting prescription drug addiction. Because heroin is cheap and readily available, it often becomes a replacement for more expensive opioids, once a user is addicted. For years, heroin devastated inner city minority populations. At the time, users were treated with much less sympathy by lawmakers and public officials, compared to the treatment of drug users in majority white rural and suburban areas. The Times cites Robert Anderson, chief of mortality statistics for the Centers for Disease Control and Prevention, who compares the increase in overdose deaths to HIV deaths. H.I.V. deaths rose in a shorter time frame, but their peak in 1995 is similar to the high point of deaths from drug overdoses reached in 2014, Mr. Anderson said. H.I.V., however, was mainly an urban problem. 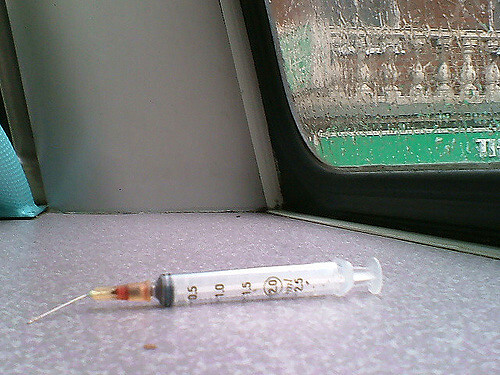 Drug overdoses cut across rural-urban boundaries. In Allegheny County, opioids were the primary cause of 246 overdose deaths in 2015, according to numbers reported last month by the county medical examiner’s office. Of those, heroin was found in 209 cases and fentanyl was found in 99 cases. In December, PublicSource examined preliminary overdose statistics from 2015. The death tally has increased since then. “There is no evidence that this epidemic is abating and efforts to address the problem are ongoing at the local, state and federal levels,” Dr. Karl Williams, the county’s medical examiner, said in a statement with the year’s finalized numbers. In 2014, the county detected heroin in 157 overdose deaths. Fentanyl was detected in 59 deaths. In 2008, heroin was detected in only 62 county overdose deaths. Then, from 2010 to 2012, heroin-related deaths spiked 150 percent. That devastation has continued to increase, directly through fatal overdoses and in the collateral costs to a society that’s only recently recognized the problem. On Tuesday, the federal government unveiled the first national standards for prescribing highly addictive opioid painkillers.